Biting into an ice cream sandwich is a quick ticket to childhood memories for me. Lazy warm summer days, riding bike all the day long with my sisters and friends, finding cool relief from a sprinkler’s swaying arch…and enjoying a cold treat from the giant chest freezer that Mom kept stocked so well. Ice cream sandwiches were one of my very favorites. 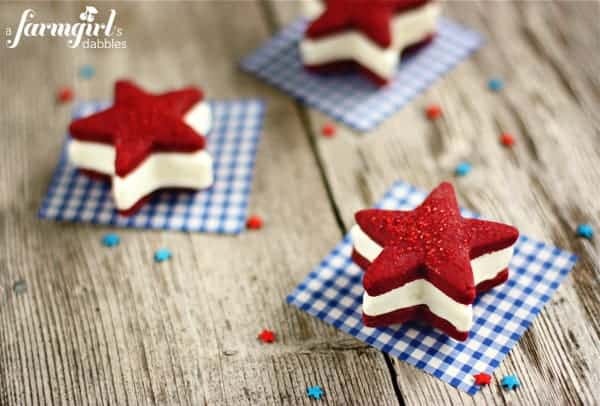 These Patriotic Ice Cream Sandwiches are a fun take on an old classic, with a twist of red velvet cake. 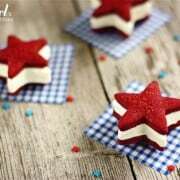 Creamy cheesecake ice cream is sandwiched between crisp red velvet shortbread cookies, all in the shape of a star. Just the ticket for staying cool and celebrating the fourth of July! 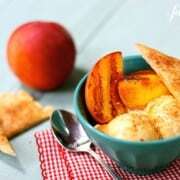 Cut cream cheese into small pieces and place into a blender or food processor. Add the lemon zest, sour cream, half-and-half, sugar, and salt. Puree until very smooth. No chunks! Chill the mixture thoroughly in the refrigerator for 1 hour, then freeze it in your ice cream maker according to the manufacturer’s instructions. Line a 9” square pan with parchment paper and then spread the ice cream into the prepared pan, smoothing it out as much as possible. Freeze ice cream in the pan until it is completely frozen. This will take at least 2 hours. In the bowl of a stand mixer, beat butter and sugar until the mixture is a bit fluffy. Add in the salt and flour and mix until just incorporated. Then add the cocoa powder and mix again. Carefully add the food coloring and vanilla, stirring until red coloring is evenly distributed. Divide dough into 2 equal portions and pat each into a 4″ round disc. Wrap each disc in plastic wrap and refrigerate for 2 hours. Heat oven to 350°. Line a cookie sheet with parchment paper and set aside. Lightly flour your work surface and rolling pin. Remove one dough disc from the refrigerator and roll to about 1/4” thick. If the dough is sticky, just pick it up and pat into a round, flour your surface again, and roll out the dough again. I found that this second rolling did the trick every time. With a small star shaped cookie cutter (mine measured 2-1/4” across), cut out star shapes and place them on your parchment lined cookie sheet. Sprinkle with red sugar. Bake for 11 to 13 minutes, taking care to not let the cookies brown. Let cookies rest on cookie sheet a couple minutes before removing to a wire rack to cool completely. Cut the ice cream around the edge of the pan and then gently remove the frozen slab of ice cream using the parchment paper overhang. Dip the same star cookie cutter you used for the ice cream into a shallow bowl of hot water and start cutting out ice cream stars, dipping the cutter into the hot water in between each cut. Turn a star cookie upside down and place an ice cream star on top of the cookie. Top with another star cookie (right side up) and gently press together to make a sandwich. Repeat until all ice cream stars are used. You will have more star cookies than you need. Immediately place the ice cream sandwiches in the freezer to freeze thoroughly. Keep frozen until ready to serve. Red Velvet Shortbread Stars adapted from Raspberry Shortbread Hearts, originally from Betty Crocker’s 40th Anniversary Edition Cookbook’s Scotch Shortbread recipe. Cheesecake Ice Cream adapted from Blueberry Cheesecake Ice Cream, originally from The Perfect Scoop by David Lebovitz. These sandwiches look delicious!! Pinned for fun!! I found your blog on Tidy Mom! Would love to have you share on Friday Features this week! 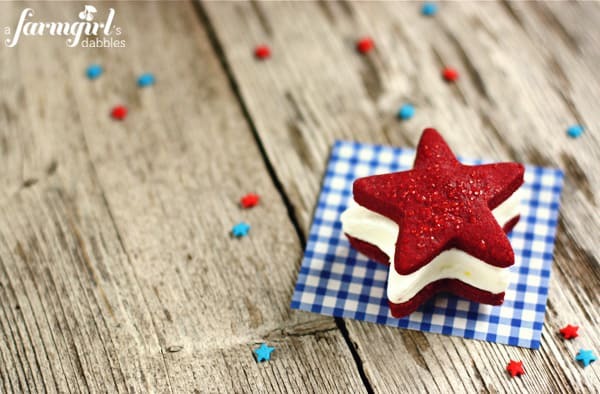 Pingback: July 4th Desserts and Sweet Treats! Red velvet and ice-cream? Sounds delicious! 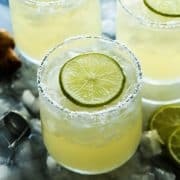 These looks so fun, festive, and delicious! They’re right up my alley! This is something I seriously need to try. I love red velvet cake. This just looks so good. 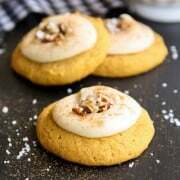 I would love to feature your treat on my blog. I am wondering if you wouldn’t mind visiting my party. Pinning Adorable! Oh my! These are beautiful! The stunning red velvet and the thought of cheesecake ice cream. What a lovely confection sure to satisfy that need for ice cream in the summer. Lovely work! AAAANNND it’s eggless!!! Can’t believe!! How beautiful are these!? Great job. I hope you will link up to my Patriotic Project Parade going on now through July 4th. these are just fabulous! they are so bright & cheery! love them. and the ingredients you used – so perfect together! Wonderful! Thank you so much, Cheryl! there are SO pretty! love the contrast of the red and white sandwiches against the blue paper! That is really so elegant i will try to try it but at my country half and half is not found can we replace it? 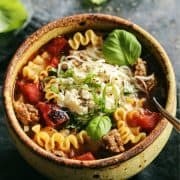 I found this same substitution quoted several places online, though I have not tried it myself: http://www.food.com/recipe/half-and-half-substitute-168150. You could also use store bought ice cream, if you didn’t want to make your own ice cream. I love the vibrant red color! Fiery red is always in season…Love to try! The ice cream sandwiches are so cute, and they look delicious. The patriotic theme idea is just too creative. I don’t have an ice cream maker, I might try this using ice cream squares. Thank you, Jenn! You could definitely use store bought ice cream – just soften it a bit and press it into a pan lined with parchment paper, and continue on with the rest of the recipe. Thanks for sharing – this is going straight into my July 4th folder!! These are the cutest EVER!!! These are so cute and innovative! These are adorable and so festive for the summer! You always come up with the cutest ideas!! Love these cute sandwiches!! Thank you, Kristy – have a great week! OOOOH, those look good. I just pinned them! AGAIN, so glad your Dad and I got to gobble these up last weekend. Delicious! Pretty! And just the right size. I’ve had ice cream sandwiches on the brain lately, so these really caught my eye. Can’t wait to try them. These are so summery, patriotic, beachy and fun! Love them! These are the cutest ice cream sandwiches, ever! Love this idea…so creative and making them into stars is such a great idea! These are adorable! and I bet delicious Brenda! VERY delicious! ;) Thanks, Cheryl! Not only are your desserts always delicious looking but sometimes you do put the cutest spin on them. I love these! Ohhh cheesecake ice cream, you’ve got it going on! 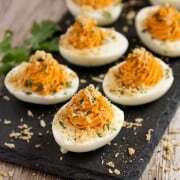 These are adorable, have wonderful flavor, and they’re patriotic! Perfect! Man, oh man. I can’t remember the last time I had an ince cream sandwich! It must have been a real long time ago, but this post got me in the mood for them. I like the little red star idea. It’s so festive and perfect since it’s going to be in to high 80s and low 0s for a few weeks here. These look wonderful and oh so festive! I am wondering though about adapting the ice cream recipe a bit. I don’t have an ice cream maker. Is there something else I could use? Hello again, Jonna! You could just use store bought ice cream. Let it soften a bit and then press it into a pan lined with parchment – then continue with the recipe as written. Adorable! You are one creative girl! What a cute and tasty looking treat Brenda. I don’t have an ice cream maker, but I could improvise and cut up a container of vanilla or blue moon and add some white or blue sprinkles to the ice cream sides to make them red, white, and blue. Thank you! 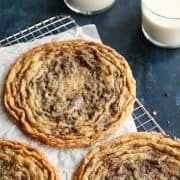 You could still make the star cookies. Then just let some store bought ice cream soften a bit and press it into a pan lined with parchment – then cut out ice cream stars and make the sandwiches. 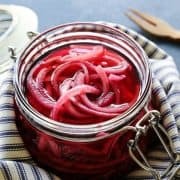 I’m in the process of collecting patriotic recipes and this is a fantastic one to add to the group! So cute!!! These are such adorable ice cream sammies!! Great idea, this would even work great for Canada’s day (we’re Canadian lol). These are so cute. Love the spin on red velvet and cheesecake ice cream is wow. Can’t wait to try! Thank you, Emily. I love cheesecake ice cream! I made it with a ribbon of blueberry sauce through it last summer…so good!! Those are just too pretty! These are so freaking cute!! Love it! My kids would love to make these with me. LOVE this idea… pinning for the 4th of July! These look so gorgeous I can only imagine what they taste like! I can’t wait to try them, what a perfect summer treat! These are so cute, Brenda. Love the red velvet! Ice cream sandwiches are so nostalgic to me. I am loving your twist on these. The color is fantastic! Ice cream sandwich/holiday perfection. I am definitely adding this to our menu. They are adorable and look delicious, too. Perfect, Brenda! So cute! When I posted my red velvet cream cheese ice cream sandwiches a couple months ago I didnt even think to adapt them to a patriotic theme! Thanks Amanda! Yours are so lovely…sorry to say I must have missed your post. :( Is that from your upcoming book? 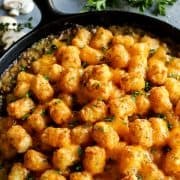 I can’t find a link to the recipe?? It was so good to see you last Saturday. We need to get something on the calendar for summer coffee!